As part of the HR Coach Network, the largest network of independent HR professionals in Australia, HR Staff n’ Stuff is an accredited provider of the STAR Workplace Program. Whether you're a small business of less than 10 people, or a larger business with 100 or more staff, the STAR Workplace Program provides a unique opportunity to get the information that you need to make important decisions. Identify things your business is doing really well, so you can harness those strengths to attract more quality candidates. 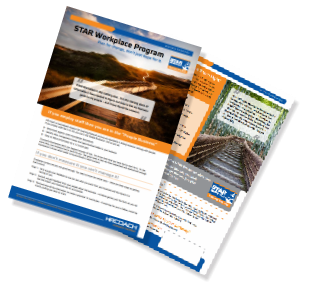 ​​​Download a STAR Workplace brochure, or contact us today to discuss how the STAR program can help your business link people to performance and profit.